If you like hanging out in Somerville, there's plenty of and other fun going on. And there are food trucks and music where the Occupy Boston folks were camping out. 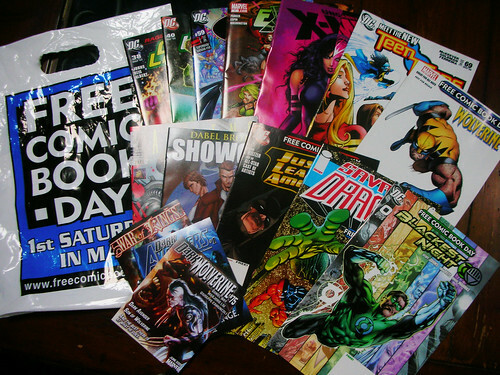 Pick up a free comic book, or take a kid you know to the comic book store. Aside from getting some free colorful illustrated reading material, most of these places have other fun going on including visits by comic book creators.